Fox Soccer: The, Like, EeeeeEEEEEEENNNNNNNDDDDD!!!!! The title of this piece might be a little confusing and hard to read, but its what the kids do with language these days isn’t it? Using lots of apostrophes and capital letters and the like. My apologies if anyone that has read anything I’ve ever written before is turned off, its simply my way of appealing to a new audience, perhaps poorly imitating their nuanced form of communication to ingratiate myself to them. This metaphor is laboring in much the same way Fox Soccer Channel struggles to inject excitement into end of season games, which is a shame as I was going to rant about being too lazy to invest time and effort into researching who my new audience might be and what it might want. Fox Soccer lost out to NBC in holding the broadcast rights for the English Premier League (or BPL or whatever rights holders are contractually obliged to call it) and for that I’m grateful. Not to be disingenuous as Fox Soccer Channel provided good coverage of many EPL games, Sky Sports News, MLS, SPL, La Liga and little bits of Serie A and others. Fox Soccer must also be credited with attracting a wider U.S. audience and helping entertain people that perhaps wouldn’t have access to soccer coverage before and preferred helmeted battle chess, America cricket and other sports with excitable fans. The challenges to watching Fox Soccer Channel are lengthy, and I’ll do my best to avoid turning this into an over the top moan at high pitch that loses momentum halfway through because I don’t feel comfortable enough in my convictions… damn it, I’m slipping back into the mocking analogy I abandoned in the opening paragraph. The commentary was generally awful; from the feckless Tommy Smith and his idiotic ‘catch phrases,’ to the clown Gus Johnson and Ian Darke they all appear to have forgotten that their role is to report on an event as it occurs. Yelling a players name into a device that captures and amplifies sound provides no benefit to the audience. Granted describing what is happening is challenging particularly if you may have received instruction to make your commentary colorful and impassioned like those Latin American fellows. For all Ian Wright’s excellence as a goalscorer his reputation should be protected from himself by never being allowed to use a microphone again. Wright’s poor use of language, repetitive phrases, lack of real insight, unfamiliarity of when to speak and when to allow his partner to speak, I’ve yet to listen to game he’s commentated on where something wasn’t “embarrassing.” At least not as embarrassing as his commentary. Steve McManaman and Brian McBride aside, expert analysis on Fox was a shambles of irrelevance led by Rob Stone, Warren Barton and Eric Wynalda. The latter three shared an awkward camaraderie and to be fair to Barton and Wynalda, that at least have a little football experience to call upon and occasionally offered insight. Stone is a fish out of water, a lumbering striker defending his own penalty box opposite a skilled ball player. Prone to growling of a goal scorer’s name during highlights packages in the manner of a sufferer of Tourettes syndrome, Stone’s lack of soccer knowledge justified the ‘expertise’ of Barton and Wynalda. Whoevers decision it was to charge a premium for a sports/Fox Soccer Channel made a good decision. Its a niche that not everyone wants to subscribe to. Approximately midway through the Fox Soccer Channel deal, viewers who paid for Fox Soccer Channel suddenly lost access to half the broadcast games unless they wanted to pay an additional premium for a premium Fox Soccer Plus channel. Not quite bait and switch but Fox made some of us soccer fans feel like suckers. Funnily enough this alienated a few overseas fans of soccer who simply refused to pay for a premium on top of a premium channel and chose to watch the few games of interest online or in bars. Watching international feeds of EPL games online also meant viewers were not subject to the awful US studio commentary that lacked atmosphere and listenable reportage. 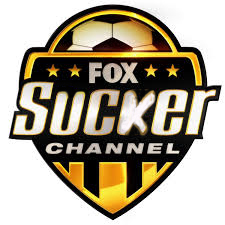 The cringeworthy voiceovers of Jimmy Hodson that have long accompanied movie commercials found there way onto the Fox’s networks playbook of nauseating tricks, and has been overused on FSC. Fortunately NBC and ESPN hasn’t adopted this practise. The countdown to never having to hear “Chel-sea…. ver-sus… Nooor-witch” growled with the same intensity as a horror slasher flick ever again has begun. A crucial aspect of being a fan of any sports league is being able to see highlights of all other games within the league. The collated highlights package from the sports native country will offer all the necessary elements, by all means add local U.S. appeal with local commentary teams and experts, but soccer is not as complex as gridiron football and doesn’t need to be dumbed down. Fox Soccer News is often a confusing mixture of news from around the globe, with Ed McMahon offering its one ingratiating feature. Perhaps he’s a little low-key in his delivery and not full of the vim, vigor and ‘sparkle’ of other anchors of other shows, but employing his perspectives and observations would add credibility to any soccer program he associates himself with. That the NBC commentating, host and expert opinion duties will be include experienced individuals from the UK is a positive. Rebecca Lowe, Arlo White, Robbie Mustoe and Robbie Earle are all well versed in presenting soccer in an unpatronizing manner. Analysis from Gary Lineker, Graeme Le Saux and Lee Dixon who will continue to provide the same duties in UK which have gone down fairly well with friends back home. Just as long as they don’t export the droning clueless Mark Lawrenson or the personality void Alan Shearer. With an immediate return to the Championship, arguably more entertaining for not being full of wealth, I’m looking forward to watching Southampton start a new Premier league season in August without the grating irritations served up by Fox.